A brochure highlighting the importance of setting up your estate so that your equine is cared for in the event of your death. We should support good horse rescues. Since humane societies are rarely equipped to take in equines, these private organizations fill a huge need. However, some “rescues” are really scams, hoarders, or horse dealers in disguise. Here’s how to tell the altruists from the underhanded. Please click on the link below to read this informative article written by Laura Rose, WHC District 4 President, on how to spot a sketchy rescue. Please click on the link below to view a PDF document of the Wild Horse and Burro Program Status presenation put out by The Bureau of Land Management. dedicated to advancing the responsible and humane use of animals in these activities. Click below for all of the details. Please click on the link below to go to the Unwanted Horse Council's website page that lists horse rescue facilities in the United States. This list was created by the American Horse Council's Unwanted Horse Coalition. Click below to read all of the details and a link to the UHC website. Click below to be redirected to the Unwanted Horse Coalition website. Important new information, please read all of the details by clicking on the link below! 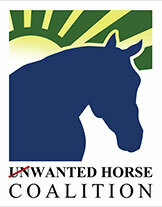 Click below to be redirected to the Unwanted Horse Coalition website page for all of the details. Washington, DC - January 4, 2010. The Unwanted Horse Coalition (UHC) has published a handbook entitled Best Practices: How Your Organization Can Help Unwanted Horses. The handbook is part of the UHC's continuing effort to get the horse community more involved in solving the problem of unwanted horses.